On June 6, 2018 the Future for the Children Association with the support of the Kazanlak Municipality and in partnership with the Cedar Foundation awarded for the fourth consecutive year the “Future for the Children” awards. The event aims to encourage people who have helped children in our city improve their lives and the environment in which they grew to become a better place for them. The ceremony took place at the Rose Museum in the presence of the nominees, friends and followers of the cause. 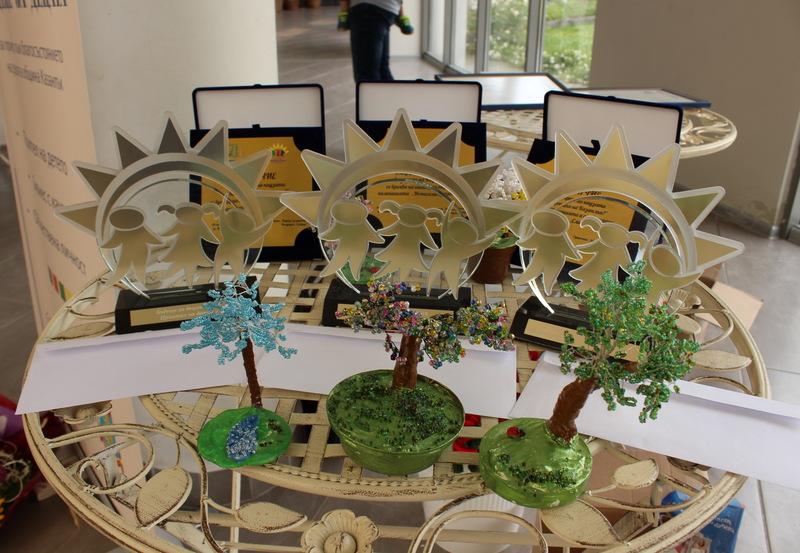 The prizes were awarded in three categories: “Public person”, “Company charity” and “Friend of the children”. There were also three campaigns and initiatives in support of the children of Kazanlak. All organizations working with children were entitled to nominate – schools, kindergartens, clubs, community centers, media, children’s centers and social services. We received a total of 19 nominations in the categories. The most this year were for “Friend of the Children” category. 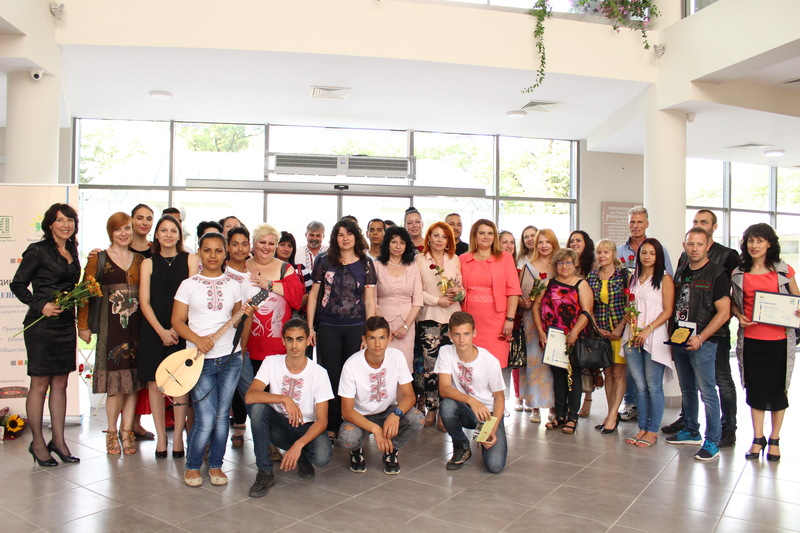 The panel for the awards included representatives of the Future for the Children Association, Cedar Foundation, Kazanlak Municipality, the media, a youth and a volunteer. For “Friend of the Children” this year was awarded to Dimitar Gaydarov – a conductor, composer and musician dedicated to folklore and children. With the cost of his personal time and effort he works with many children, both from the city and from the surrounding villages. For a year, she has worked with eight children at one of the family-type facilities. Through music young people in the center come together, work in a team and set goals. Maria Kyurkchieva – psychologist at the Day Care Center for children with disabilities. 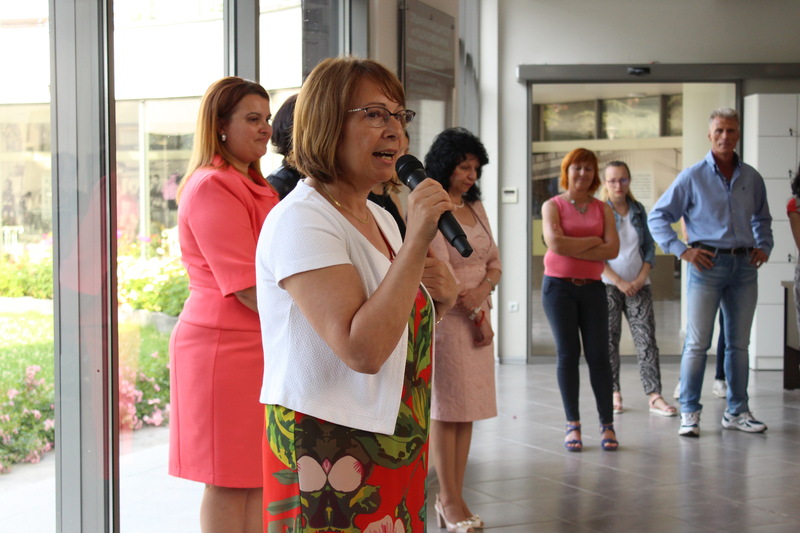 In the category “Public person” this year there was one excellent nomination for Ginka Shtereva – a public mediator in Kazanlak Municipality. The prize was awarded by Mrs. Petya Chakarova, Deputy Governor. Mrs. Shtereva was honored because she has always defended the interests and rights of children through her professional career. She accepts as a personal cause any problem related to children and puts a lot of effort, personal time and contacts in solving it. She has supported a number of initiatives related to children and their well-being. The award for “Company charity” was awarded to Neshstroy Ltd., a construction company sponsoring the Rose Valley Children’s Football Club, several times supporting the Paisii Hilendarski Primary School to undertake repairs. A young man who is resident in Family Type Center service is employed by the company. This is crucial for his development in life, and an example of the importance of all young people having access to employment. Neshstroy Ltd. received two nominations in the category. Stanley Nanchev, a longtime hairdresser in Kazanlak, supported a number of causes in the name of children and young people. The award in this category was presented by Mrs. Galina Stoyanova – Mayor of Kazanlak Municipality. She also presented another special award to Maria Gineva – Executive Director of Future for the Children Association for active work over the years. Mrs. Gineva received a golden rose – one of the symbols of the city. “True Friends” by Nadezhda Tzvetkova, Eleonora Mert and Yaroslav Kovachev. Mrs. Tzvetkova launched the initiative, which aims to show personal and direct support to the children of Bulgaria, deprived of parental care. Eleonora Mert and Yaroslav Kovachev joined the initiative and Mrs Tsvetkova says they are indispensable for their dedication, accuracy, persistence and support. Thanks to their initiative, Cedar Foundation received financial donations to continue the work of the family-type center for children deprived of parental care, lighting around the center, the lack of which has been a problem since the construction of the center. The children received Christmas decorations. “To give Happiness” campaign, where more than five years ago, the members from the Motorcycle Club “Black Roses” gave gifts and treats to the children of the city dressed as Santa Claus. In addition to giving candy to many children in the square, they also chose a few children and their families to provide them with gifts to make a happier Christmas. More than a hundred children were greeted over the past year and nine families were supported by the campaign. “Sweet for Cetsy” campaign, which was organized to support a child from our city who was in urgent need of treatment abroad. The enthusiasm, the energy and the desire to support the organizers of the event – Stella Gardeva and Nina Dimitrova – were transferred to the citizens of the whole city and the sum needed for the treatment of the young Cetsy was collected very quickly. It was a wonderful example that miracles happen not only at Christmas! The plaques were presented by Maria Gineva – Executive Director of the Future for Children Association. Mariana Mugheva was also nominated for her Christmas production, thanks to which funds were raised for the support of a Kazanlak family. Petko Chirpanliev was also nominated. He helped to organize a donation of more than 2000 baby foods, over 2000 adapted milk for babies, toys and education materials, which were distributed in the social services in Kazanlak and Shipka. All nominees were awarded with a certificate for their contribution to the welfare of children from Kazanlak. The certificates were presented by Alexandrina Dimitrova, Executive Director of Cedar Foundation. Bozhidara Gaydarova from the Art School “Emanuil Manolov” to the “Iskra – 1860” Community center with artistic director Stefka Deneva. The “Future for the Children” awards are supported by the Municipality of Kazanlak, Cedar Foundation, Rose Museum, Pizza New York and Municipal Children’s Complex “St. Ivan Rilski”.